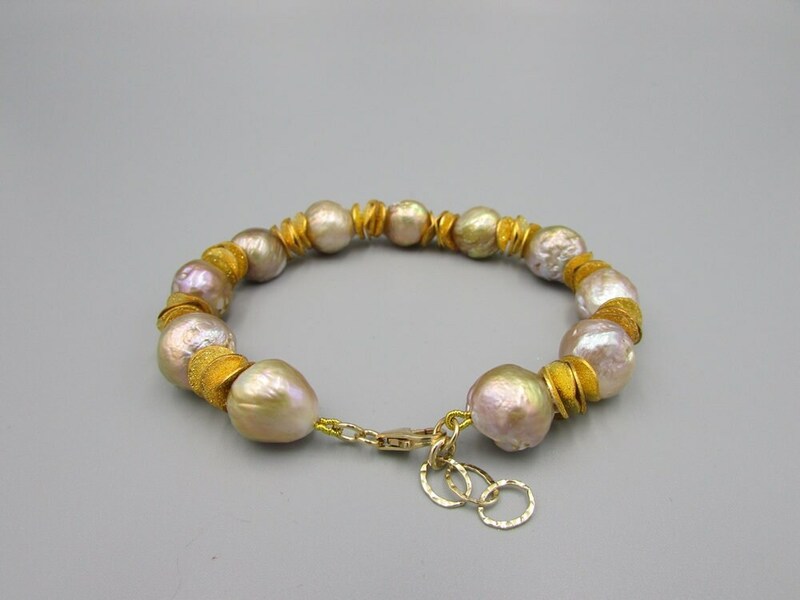 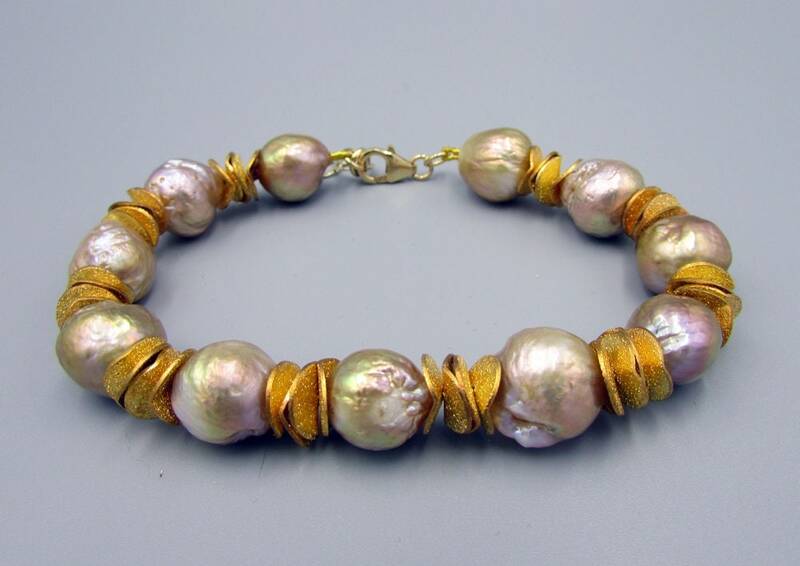 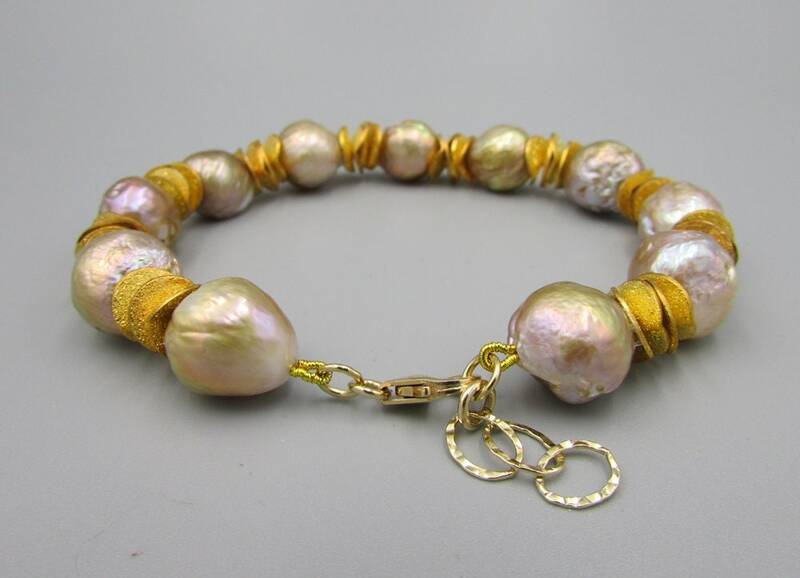 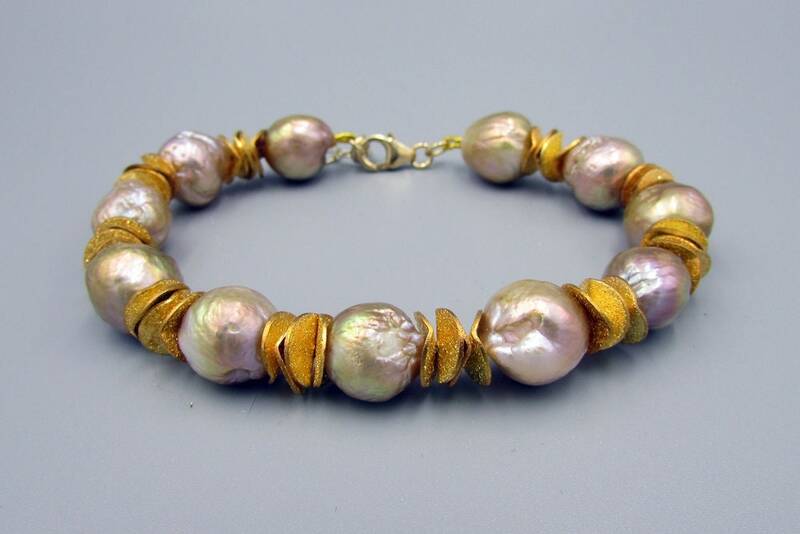 This stunning freshwater baroque pearl bracelet is created with 10-12mm size kasumi like pearls in beautiful bronze metallic colors, with hues of gold, pinkish and light bronze. 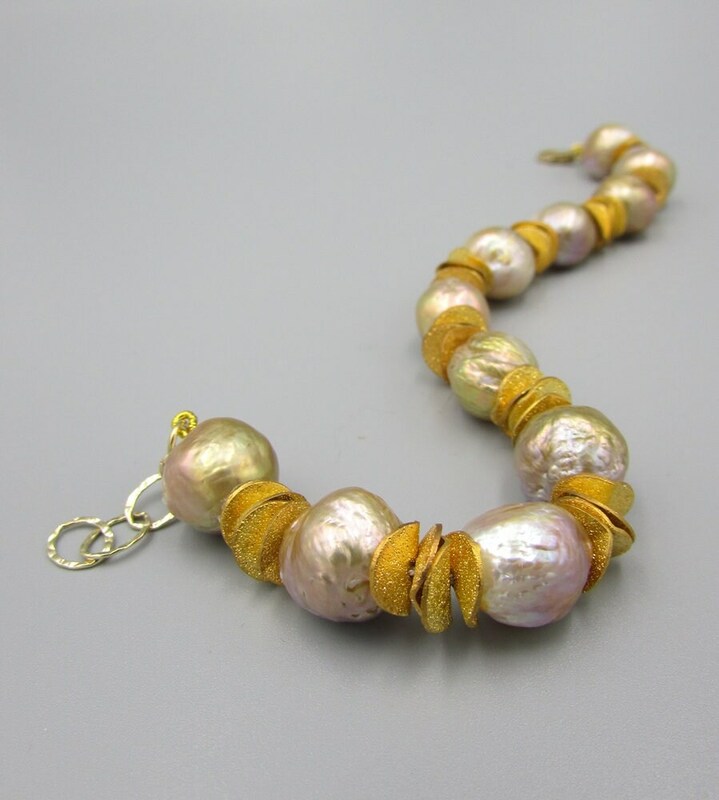 The pearl are high grade with a beautiful luster and shimmer. 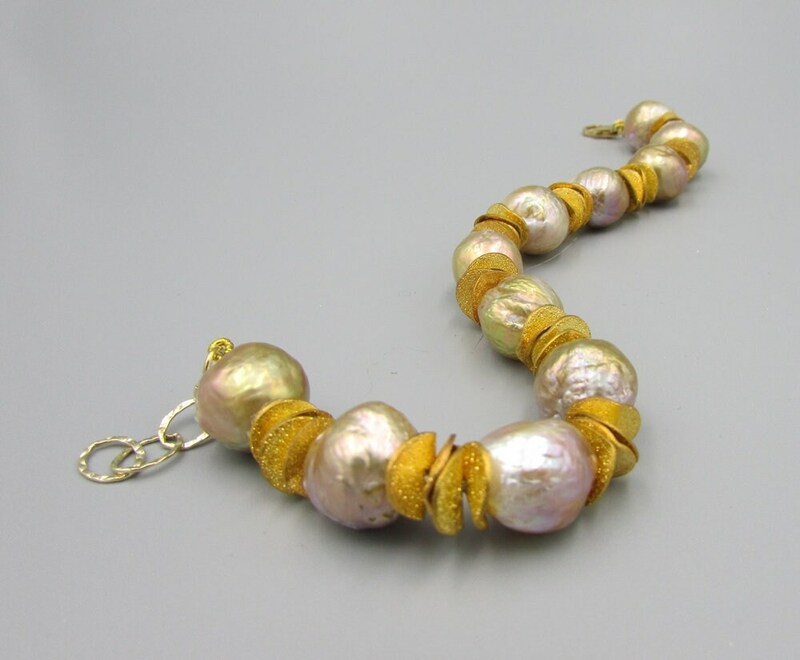 When the light hits these pearls the colors shine in a beautiful rainbow glow. 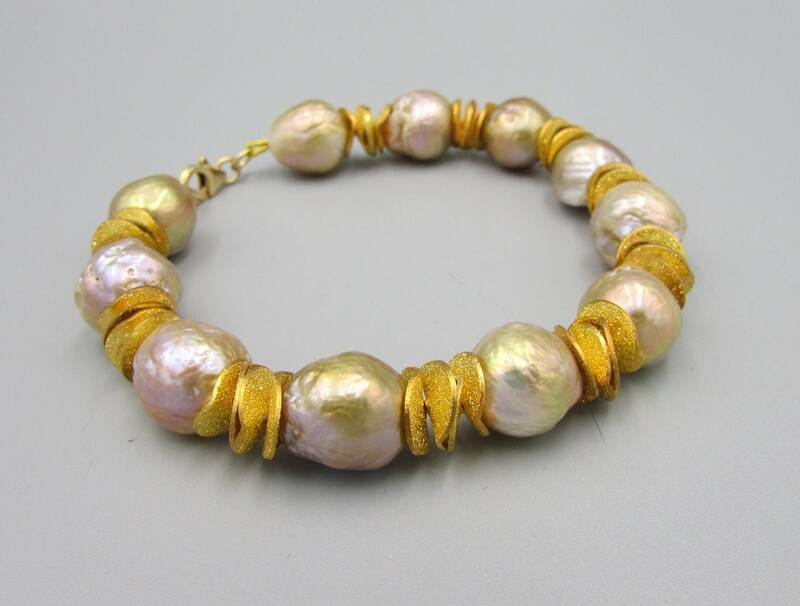 The bracelet is hand knotted on 100% Griffin Silk thread with lovely 8mm wavy sparkle gold spacers adding to the beauty of pearls. 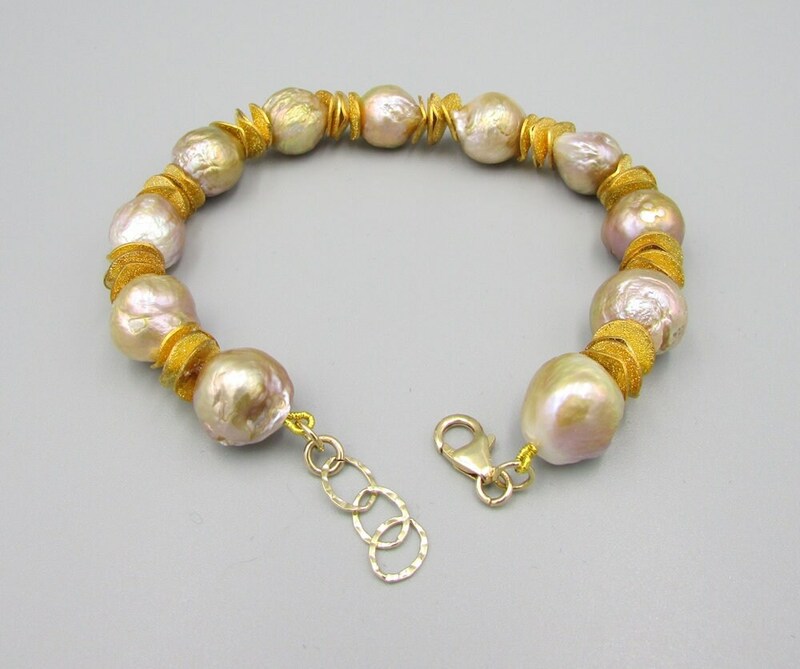 I finished with 1" 14K gold filled chain and 14K gold filled lobster clap. 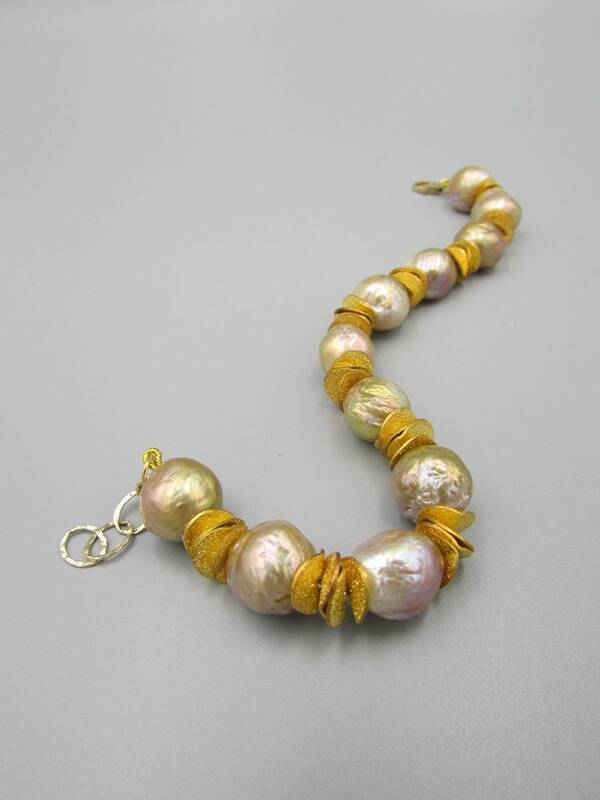 *Length is 7 1/2 inches.